The findings were published in the journal Science Advances. 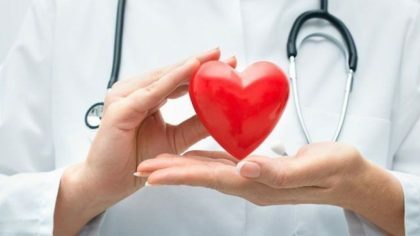 The study is the first to illuminate details of how this particular gene, which is called OBSCN, works in heart disease. The gene produces proteins known as obscurins, which seem to be crucial to many physiologic processes, including heart function. For almost two decades, Dr. Kontrogianni-Konstantopoulos has been studying the OBSCN gene and obscurin proteins. Research has found that the gene is often mutated; some of these mutations may play a role in heart disease and certain cancers. She and her colleagues have recently shown that one mutation may play a role in the development of congenital heart disease. However, the cell processes that are affected by the OBSCN mutation have remained largely a mystery. In this latest study, Dr. Kontrogianni-Konstantopoulos and her team unraveled this question. They focused on a mutation that has been linked to an enlarged heart, also known as hypertrophic cardiomyopathy. In this condition, the heart muscle becomes thickened and scarred, and has trouble pumping blood. She created a strain of mouse that carries the mutation, and then divided the animals into three groups: a group that experienced no stress, one that experienced moderate stress, and one that experienced significant stress. She found that animals in the no-stress group developed irregular heartbeat, also known as arrhythmia. The mildly stressed animals developed thickened hearts, and the severely stressed animals developed hearts that were scarred and ineffective. Dr. Kontrogianni-Konstantopoulos is one of several scientists who first discovered OBSCN in 2001. Prior to that it was all but unknown, hence its name. Since then, she has studied the gene, focusing on its role in both heart disease and cancer. She currently has several other ongoing studies of its effects in both heart disease and cancer. It is not clear exactly how the mutated OBSCN gene causes heart problems. Her study is the first one to examine this question in relation to the obscurin mutations. She and her colleagues found evidence that the particular mutation they focused on may affect the ability of a protein called phospholamban to regulate the movement of calcium in heart muscle cells; this movement plays a crucial role in controlling how the heart contracts and relaxes. If this process goes awry, the heart does not function properly. Dr. Kontrogianni-Konstantopoulos says this work could eventually lead to targeted therapies for people who have OBSCN mutations.